The cabinet of Prime Minister Theresa May is reportedly preparing for a snap election in November after the EU rejected the so-called Chequers proposals on Brexit – stirring outrage and anxiety among both hardline Brexiteers and Remainers. Kristian Rouz — UK Prime Minister Theresa May says her cabinet will ‘hold its nerve' in the ongoing talks with the EU after Brussels rejected her proposed Brexit deal, known as the Chequers Proposal. The statement comes as Downing Street is bracing for yet another possible snap election as soon as this coming November — which could potentially either thwart Brexit, or bring on a decisive victory for Brexit hardliners. According to a report from the Sunday Express, May has been outraged over the EU's hardline approach to Brexit. 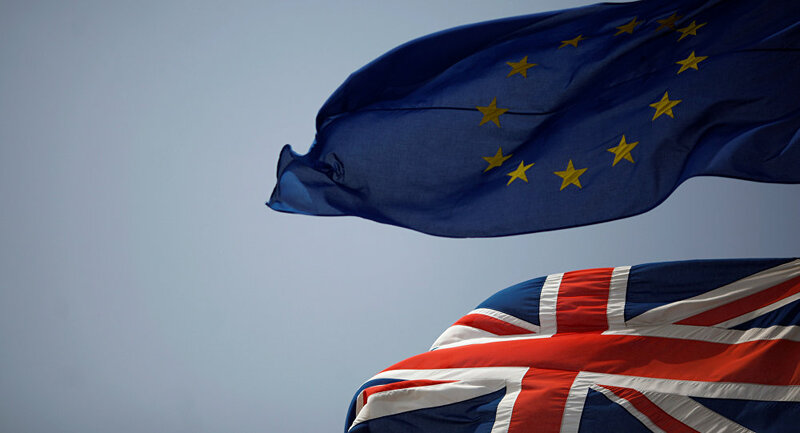 Brussels has demanded more than £50 bln as a divorce payment, an open border between the UK and Ireland, and Britain's membership in the EU customs union — which would cripple the UK's efforts to strike trade deals outside of the EU framework, even after Brexit takes effect in March 2019. May said her Conservative and Unionist cabinet would push for its own vision of Brexit. "This is the moment to do what is right for Britain," PM May said. However, May's cabinet has come under fire from both the left and right. 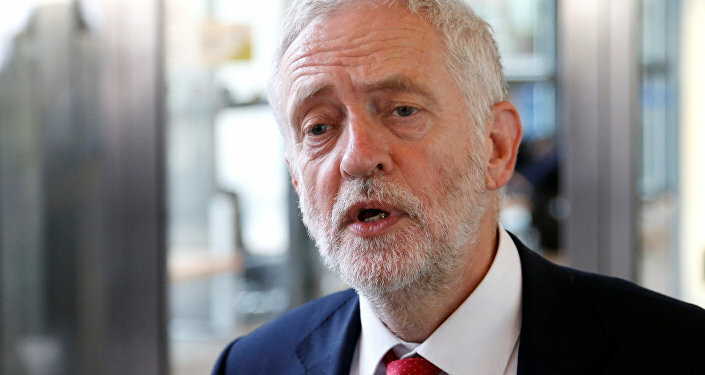 The Labour Party has ramped up its pressure for a second Brexit referendum, in a last-ditch effort to keep Britain in the EU. Labour leader Jeremy Corbyn even said he would challenge PM May in order to undermine her proposed deal with the EU — which the bloc has already rejected. "We will challenge this government on whatever deal it brings back on our six tests, on jobs, on living standards, on environmental protections," Corbyn said at a Liverpool rally. "And if this government can't deliver, then I simply say to Theresa May the best way to settle this is by having a general election." The prospect of a snap election in Britain has become increasingly realistic after two top cabinet members, Brexit Secretary David Davis and Foreign and Commonwealth Secretary Boris Johnson, both resigned this summer in protest against May's Chequers deal. Hardline Tories have labelled May ‘Theresa the Appeaser' over her proposed Brexit deal, which they saw as excessively favorable for the EU. Now that the EU has rejected even that generous proposal, hardline Brexiteers say May has failed to deliver a viable divorce agreement, meaning a ‘no deal' Brexit would be an easier and overall better outcome for the UK. In this light, the May Cabinet is now contemplating a snap election, which could likely take place in November. The plan is to keep the serving Prime Minister at the helm, while decisively defeating opposition to her weighted approach to Brexit from both the left and right. However, the ‘Leave Means Leave' camp has embarked on an offensive against the May Cabinet. The Brexiteers are hoping they could win the possible snap election, making their informal leader Boris Johnson prime minister, a move they insist would save Brexit. "We will explain that a free trade deal is possible if that is what the gangsters in Brussels want, and if they don't, that is fine," former UKIP leader Nigel Farage, MEP, said. "If they don't, we will leave with no deal and far from being a cliff edge — no deal, no problem. We will be an independent country." Meanwhile, Johnson himself has said a deal with the EU is a possibility and a preferred outcome — but he stressed May's Chequers proposal does not reflect the best interest of Britain. Johnson has called for a tougher stance in negotiations with Brussels, which would force the EU to accept a mutually-beneficial accord. Johnson's political allies said the former London mayor and foreign secretary would ramp up his effort to demand a fair deal with the EU. Now the prospect of a snap election in November is stirring some anxiety in the EU — along with hopes Labour could win and make it up to Brussels. "There are some EU leaders who are saying that if they get Theresa May into the wrong place, they could end up with Boris Johnson as Prime Minister," Nick Wyatt of BBC Newsnight said after attending a recent EU summit in Vienna, Austria. "And he really does strike fear into the hearts of many EU leaders." Meantime, the ‘Leave Means Leave' campaign is actively mobilizing Brexit supporters throughout the UK, saying what they call the ‘People's Army' must stand up to the political establishment to make sure the UK will leave the EU on March 29, 2019. But the May Cabinet is reportedly drafting a new proposal on Brexit deal, which some say could include even more concessions to Brussels. In this light, the Sunday Times wrote, a snap election in November could be a mere vote of confidence in PM May and her handling of the Brexit process.